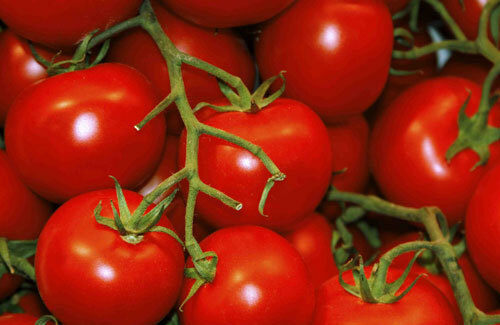 Did you know that the common tomato was once considered poisonous by North Americans? It was grown only for ornament and curiosity. But that changed in 1820 when Robert Gibbon Johnson of Salem, New Jersey, publicly ate a tomato to prove that it was safe. To the horror and astonishment of the many who gathered to watch the spectacle, Johnson actually ate several tomatoes, and lived. You can read the story here: Man Eats Tomato And Doesn't Die. E.P Roe knew of the history of the tomato but he seems to think a fellow named John Bull was the brave tomato eater. Maybe there is more to the story. In any event, here is E.P.’s take on the subject (and it is an insightful comment he makes about Yankees). And speaking of insightful, here’s what E.P has to say about raising children so they will NOT trade the richness of rural life for city existence when they grow up. One of the sad features of our time is the tendency of young people to leave their country homes. And too often one does not need to look far for the reason. Life at the farm-house sinks into deep ruts, and becomes weary plodding. There are too many "one-ideaed" farmers and farms. It is corn, potatoes, wheat, butter, or milk. The staple production absorbs all thought and everything else is neglected. Nature demands that young people should have variety, and furnishes it in abundance. The stolid farmer too often ignores nature and the cravings of youth, and insists on the heavy monotonous work of his specialty, early and late, the year around, and then wonders why in his declining years there are no strong young hands to lighten his toil. The boy who might have lived a sturdy, healthful, independent life among his native hills is a bleached and sallow youth measuring ribbons and calicoes behind a city counter. The girl who might have been the mistress of a tree-shadowed country house disappears under much darker shadows in town. But for their early home life, so meager and devoid of interest, they might have breathed pure air all their days. Not the least among the means of making a home attractive would be a well-maintained fruit garden. The heart and the stomach have been found nearer together by the metaphysicians than the physiologists, and if the "house-mother," as the Germans say, beamed often at her children over a great dish of berries flanked by a pitcher of unskimmed milk, not only good blood and good feeling would be developed, but something that the poets call "early ties." I was surprised to find this next quote of E.P. Roe. It would appear that, upon studying a saucer of strawberries, he finds it hard to believe something so good could have ever evolved by random chance, and I couldn’t agree more. And yet, on the part of some, as they deliberately enjoy a saucer of strawberries and cream,--it is a pleasure that we prolong for obvious reasons,--a languid curiosity may arise as to the origin and history of so delicious a fruit. I suppose Mr. Darwin would say, "it was evolved." But some specimens between our lips suggest that a Geneva watch could put itself together quite as readily. In this final quote for today, E.P. provides a theological lesson from the garden. I love it when he does that. We naturally feel that some good saints in the flesh, even though they are "pillars of the church," need more than a "sea-change" before they can become proper citizens of "Jerusalem the Golden;" but having compared a raspberry bush, bending gracefully under its delicious burden, with the insignificant seed from which it grew, we are ready to believe in all possibilities of good. Thus we may gather more than berries from our fruit-gardens. Nature hangs thoughts and suggestions on every spray, and blackberry bushes give many an impressive scratch to teach us that good and evil are very near together in this world, and that we must be careful, while seeking the one, to avoid the other. In every field of life those who seek the fruit too rashly are almost sure to have a thorny experience, and to learn that prickings are provided for those who have no consciences. "John Bull" is a personification for the English (similar to "Uncle Sam" for Americans), so it seems that's how Roe is using it here (contrasting vs. the Italians and French). Very good! Thanks for the information. I've learned something new. Tomatoes are relatives of potatoes and hence might come the fear that eating tomatoes might be fatal...? It's my second visit, first comment here. Our family lives in a town, but we have chicken and a vegetable garden. Hence is my interest in your blog. I am not a Christian, I consider myself pagan, but I'm open to any ideas regardless of their source. I liked E.P. Roe's thoughts for example. Be them either about young farmers leaving for town, the importance of a warm home, with a good mother, or the analogy of the blackberry. All of them are close to my beliefs. I left a comment on the how to butcher a chicken series, btw; re: chicken head. Thanks for the positive words about my blog. I’m glad you like itand hope you will come back often. Since Pagan religious beliefs are earth-centered, Pagans are, by definition, agrarians. Most Christians, on the other hand, do not consider themselves agrarian, even though the Bible is fundamentally agrarian. And, I firmly believe the Bible calls Christians to live within the agrarian paradigm. Correct me if I am wrong, but my understanding is that Paganism is a form of animism or pantheism (the belief that all things have a soul and/or spirit, even the trees and rock and the wind, etc. Or, that God and nature are the same thing). Pagans are polytheistic. They worship the many gods or spirits they believe are in nature. Paganism predates Christianity. God called Abraham to leave the city of Ur in Mesopotamia, which was a long-established and totally-polytheistic, paganistic culture. Abraham a monotheist, believed in the one true God (as explained in the book of Genesis). I respect your beliefs. But I can’t help thinking that Paganism misses something crucially important. When I look at the natural world I see beyond the wonder, the beauty, the complexity, the precise systems of it all. To me, nature is clear, compelling evidence of a Divine Creator, a wise, all-powerful and sovereign God. And if the awesome, glorious wonders found within His creation are a reflection of who He is, I want to know Him. The thing about Christianity that is totally unique among the religions of the world is that God came down to His fallen creation (fallen as a result of Adam's disobedience)and provided the way for us to have a relationship with Him (through Jesus Christ). Think about it... all the religions of the world are reaching for God (or something akin to God) through various works and rules. But the essence of Christianity is that God reached down to us and freely (apart from anything we can do to deserve it) provides the way for us to “connect” with Him, for eternity. Why? Because He loves us. It is a remarkable story. But more than a story, I can testify from my own life experience, that this relationship is something significant and totally life-changing (for the better). Because of the relationship aspect, I don’t even consider Christianity a religion. I consider it a faith-based relationship with the Living God. Does it sound like I’m preaching? Well I’m not. I’m putting my thoughts into words and testifying to what I’ve experienced. Here’s the bottom line, and I guess it’s the whole reason I’m writing this: When I look at Paganism, I see a large, broad, and ancient religious system of belief. But I don’t see the depth, the fulfillment, and the peace that comes with a Christ-and-Creator-based personal relationship. All of which is to say, very simply, if you ever find yourself wondering if there might be something more significant, something deeper, I believe there is, and I invite you to take a closer look. P.S. 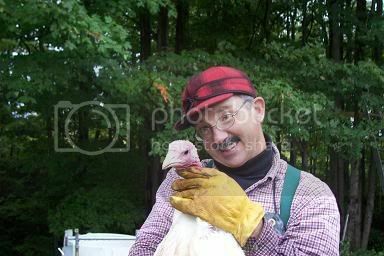 I went to my chicken butchering blog to read your comment. Chicken heads are edible?? You’ve got to be kidding! Chicken head are yes, edible. You simply cook it together with the chicken soup and when it's ready you can eat the skin and tendons around the skull. I'm from Hungary, perhaps that's the reason why we find it edible. I'll respond re: beliefs when I have more time. Sorry for that. I'm not a member of any Pagan group, therefor my views do no represent any special group, either. My views/beliefes are based on what I've searched and found. Throughout the years I've never felt the need to join any religion as an institution, I've just gathered information from various sources. I think I've come up with a comprehensive form of my own religion, which in fact, happens to be really similar to what is now called neo-paganism. But again, I'm not a member of any group. There might be so many aspects of paganism I don't know much about, so I am not to represent it 'officially'. I also happen to believe in the Omnipotent Createor, as you have put it. But, unlike you, I do not believe Adam was sent away from Heaven for dieobedience. This is what the Bible says, and the Bible clearly states that it was written for the Jews. As I don't consider myself one, I think of the Bible as a Holy Book for the Jews. Which is to mean that I respect its holyness as I do the same towards the Q'ran, and all the other religious objects and written material. They are sacred, each to their followers. I don't think there should be necessarily many gods (see I'm deviating from paganism here). I do seek and find God and I'm happy to find it. I don't attach a gender to God, though. And yes, the agrarian point of view. I think paganism has an outstanding approach towards Nature and living creatures. Since pagans like myself are convinced that all creatures contain God, embrace God, we are also convinced that no harm should be done to any creature. Which includes a great no-no to pollution, violence, greed etc. Killing for food is accepted, for a wolf was made to eat lamb, and eating meat is just the same as eating a carrot. I don't get the utter meaning of vegetarianism. I know, I know what they mean, but for ME, a carrot is just as important in the eye of God as a chicken. They all have a role. I don't think I'm missing anything. Anytime I wish to have a direct connection to God, it's there. Of course I have to settle a bit, and get into a sort of meditative state, but not knowing a certain Chapter of a certain book written for a certain segment of mankind does not expel one from salvation. Salvation is there within one, for God is, too. I hope my English was not deterring you from getting my thoughts. Your English did not deter me from getting your thoughts. In fact, you communicate in English far better than many Americans do. I could be wrong, but I have never seen it clearly stated in the Bible that it was written for Jews only. The book tells the story of how God used the descendents of Abraham (Jews) to bring about his plan of redemption (restoring men and women to proper relationship with Him) for all people in all nations. This is explained in the book of Romans. I have read some of the writings of other religions. None, in my opinion, give the spiritual insight and depth of wisdom that is in the Bible. SzelsoFa, my family would like to give your family a gift. I have access to a New Testament of the Bible in the Hungarian language, and would like to send it to you. I would also like to send you a movie (in Hungarian) that tells the story of the New Testament book of Luke. I offer these with no obligation or expectation other than that you will, one day, when you have time, read some of the book. Can I send this to you? If so, please e-mail your postal mailing address to me (hckimball@bci.net). I look forward to hearing from you. First of all, I would like to thank you for your kindness in your wise decision to share your beliefs and Holy Book with me and my family. Fortunately, we already have both Testaments in Hungarian and we frequently DO read some passages from it. I say frequently you know to indicate that we are not devoted Bible-readers,b ut we appreciate it as a sacred guidance to people with good heart. Truly, the stories of Jesus talk about so many important values one could hardly list within the limitations of a blog comment. But most of all, about love. Re: was the Bible 'directed' at Jews...? I've heard it from my husband and will have to ask him about it again. I guess it must be phrased to the effect of 'a testament between God and people of Israel/David'...I am unsure.